Following activities are held at the temple for the community. Everyone is welcome! 1. Great Hero Hall (Main Hall) is open daily for meditation. Everyone is welcome! There is a Korean service every Sundays 10 AM-12 PM. Insight or Vipassana meditation is a systematic method of attaining higher levels of self awareness, inner peace and spiritual progress through heightened meditative consciousness. Developed by the Buddha himself in his quest for enlightenment, it forms the basis of the Theravada meditative tradition and complements the meditative techniques practiced by the Vedanta and later Mahayana Buddhist traditions. Vipassana Meditation Sitting takes place every Saturday at 4:00 P.M. led by Dr. Gregory Pai. Training in the technique of Insight or Vipassana meditation is available to all for free at in the Memorial Hall every Saturday afternoon at 4:00 PM. Half day retreats are also held on the first Saturday of every month. All are welcome to attend. Instructions are in English. We are looking forward to seeing you there! Please feel free to come and watch on Sundays at 11am. The dance room is located by the garage. Classes are held once a week and the tuition is $50 per month. All levels welcome. Classes are available for all ages. 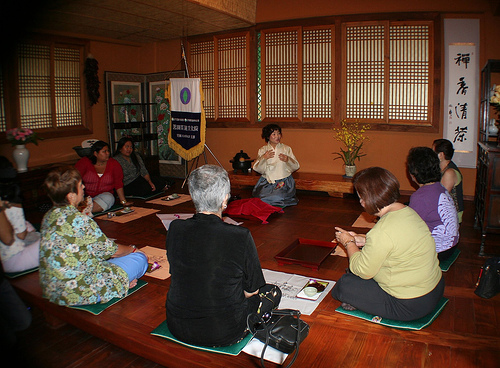 Korean language class is held every Sundays 9:30 AM-11:30 AM. Monthly tuition is $40 per month. Classes are held every Sundays at 10 AM for children. Classes for adults are also available, please contact the teacher for more info. What time does your Saturday half day retreat begin? What is the schedule of events? Sorry for the late reply. 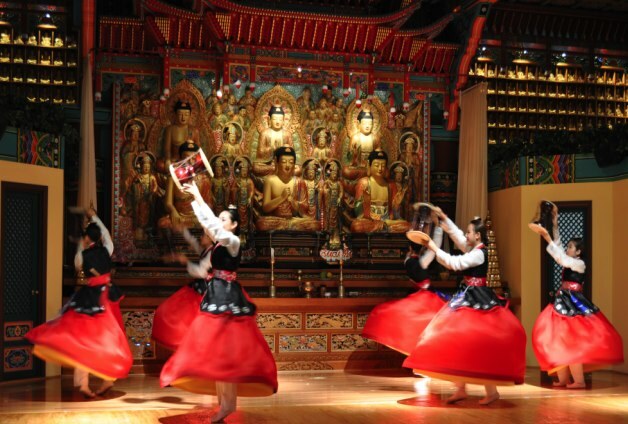 The half-day retreats are usually held the first Saturday of the month, starting at 12:30. It was not held this month due to the annual meditation retreat. Please come to next month’s half-day. Good day. I see that everyone is welcome for the meditation at the main hall. Are there hours for this? 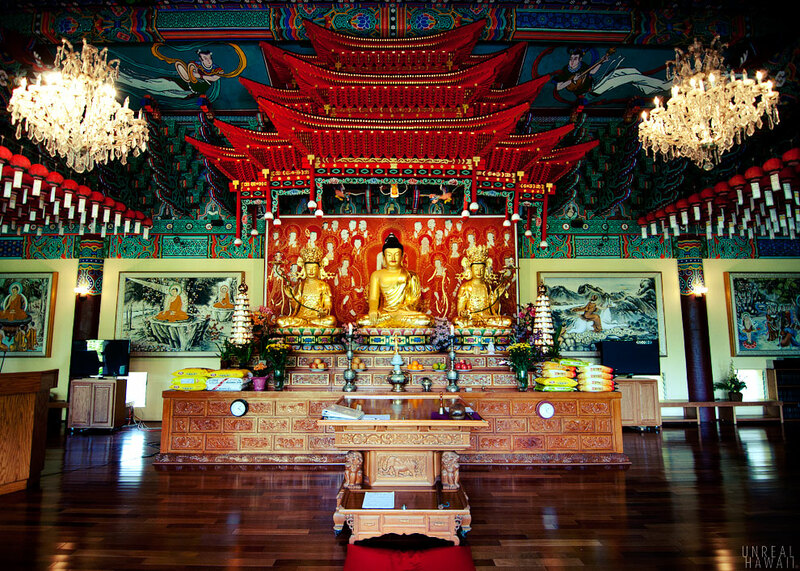 I heard about your temple because of the many Buddhas you have and was wondering if this was something the public also had access to. Dear Kathleen: We have meditation classes every Saturday afternoon at 4:00PM. You are most welcome. It is free and open to the public.